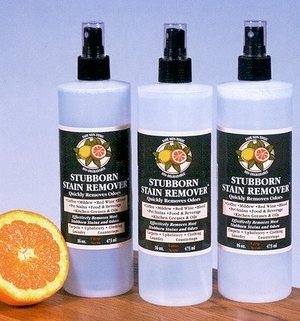 Home / Natural Household Products / Natural Cleaning Products / Drain cleaner, Earthworm, 32 oz. Drain cleaner, Earthworm, 32 oz. 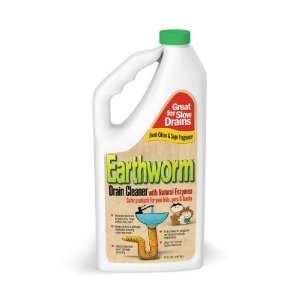 EARTHWORM® Family-Safe Drain Cleaner. It doesn’t contain corrosive acids, solvents, phosphates or other chemicals that can cause skin burns, allergic reactions or respiratory problems (the vapors and fumes are just as bad as actual skin contact). Consumers have come to realize just how bad those drain cleaners are. They’re bad for people, they’re bad for the sensitive noses of our pets, and very bad for our kids, who have a tendency to touch every surface in the house. And obviously, they’re extremely bad for our planet. EARTHWORM® Family-Safe Drain Cleaner is ideally suited to clean almost every type of drain or garbage disposal and will control their odors. 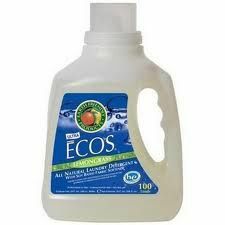 It uses natural enzymes to break down organic materials and does not contain harsh chemicals. It leaves NO chemical residue, only water and harmless nutrients are left behind. It’s environmentally-friendly, completely biodegradable and safe to use around pets and children. Regular use of EARTHWORM® Family-Safe Drain Cleaner will prevent clogs before they start by eliminating the build-up of organic material in your drain lines. EARTHWORM® can be used in kitchen and bathroom sink drains, floor drains, bathtub and shower drains, as well as boat and RV holding tanks, septic systems and grease traps. Unlike those caustic drain cleaners, EARTHWORM® Family-Safe Drain Cleaner is safe for use in garbage disposals and will keep them clean and smelling fresh. Contains: Water, Natural Enzyme Blend, Plant-Derived Surfactant, Fragrance and Preservative. Laundry detergent du jour, natural, 100 oz.